A creamy filled cupcake with lots of sweet frosting that melts in buttery fashion in your mouth. Food is an American past time and bakeries have enjoyed higher sales in recent years. Bakeries and cafes maybe a place where people sit, work, eat and socialize but they are also a place to serve your sweet tooth. In trendy areas like La Jolla, Girard Gourmet has been attracting customers for over 25 years with their European style bakery. Fresh pastries and desserts keep bakeries stocked with motivated buyers. Cupcake sales have increased 63% between 2007-2011 (Odesser-Torpey, 2013). That is right, fluffy sweet creamy cupcakes you lust over in the window do attract people to come inside and buy a dozen to go. When visitors are walking from the beach and making their way through the shopping district they tempted by hunger, smells, and tantalizing sights. 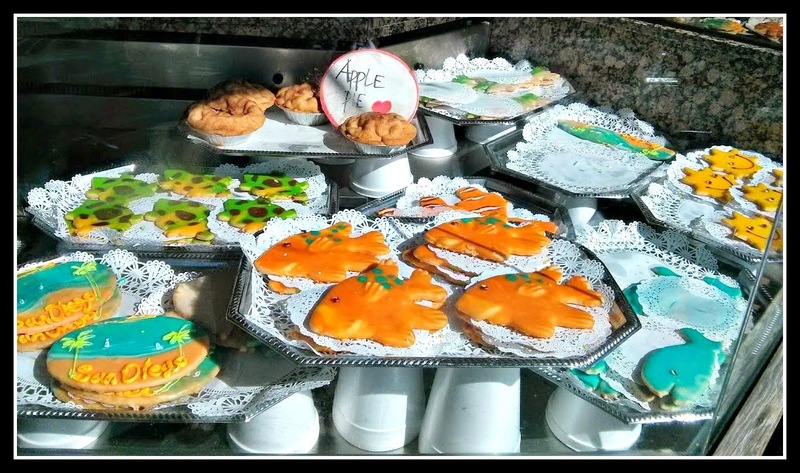 Girard Gourmet offers fresh and natural bakery items. Many of the ingredients are grown in the owner’s organic garden. Croissants, muffins, breads, breakfast, cookies, sandwiches, salads, and a variety of deserts are offered. It may look like a small outlet but they have a large full service kitchen in the back. If you don't want something heavy try some of their natural juices. Seating is outdoor on the sidewalk or inside near the food. The outdoor seating acts like a beacon that attracts one’s attention and lets them know that something interesting is going on. As you get closer to the bakery you begin to see and smell their offerings. In La Jolla outdoor seating and natural foods are a big attraction for the fashionable people that frequent the area. For business customers they offer full catering services that includes breakfast and lunch selections. This means they will cater your next business party, luncheon, or meeting by bringing the food to your office. The advantage of offering catering is that it provides a further reach for a business that wants to start another money stream but don't want to expand or change their facilities. Using evening hours and excess capital a business can develop a strong secondary income. Odesser-Torpey, M. (2013). Bakery Appeal Goes Beyond Breakfast. Convenience Store Decisions, 24 (2).